Route description: There are several trails. I prefer the trail that heads up Bear Canyon, then gently turns left and ascends the west ridge connecting to the peak itself. The return hike can be taken more directly down Fern Canyon for a nice loop. 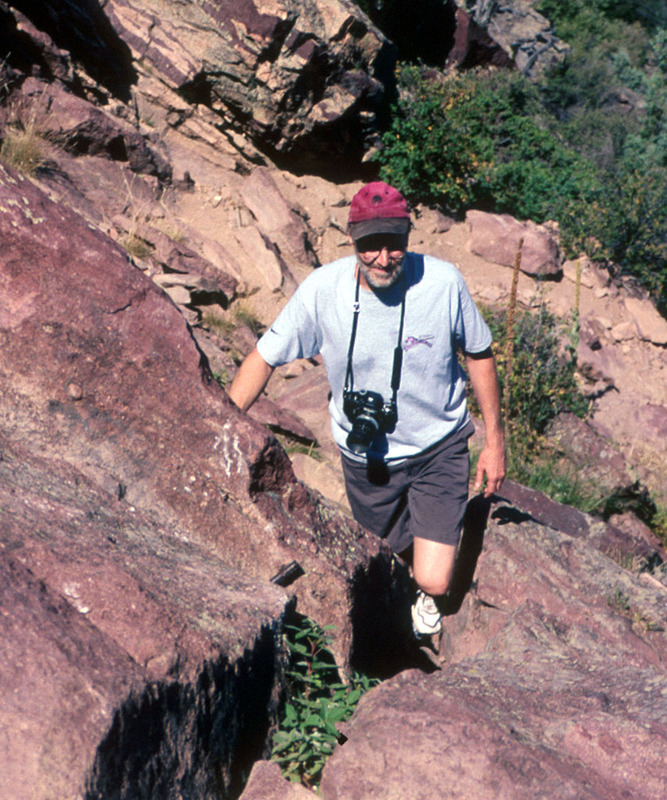 One can also climb this peak from the south via Shaddow Canyon. Comments: This peak has a very nice view of Boulder. It is also the nicest peak that sits right up from the flat city of Boulder. I have hiked it at least 5 times. With Steve McCormick, solo, with Max Dryja, family trip, and with Arnt Flatmo. The highest local peak is South Bear Peak. There does not seem to be any trail connecting to it and somehow I never hiked the short distance across. 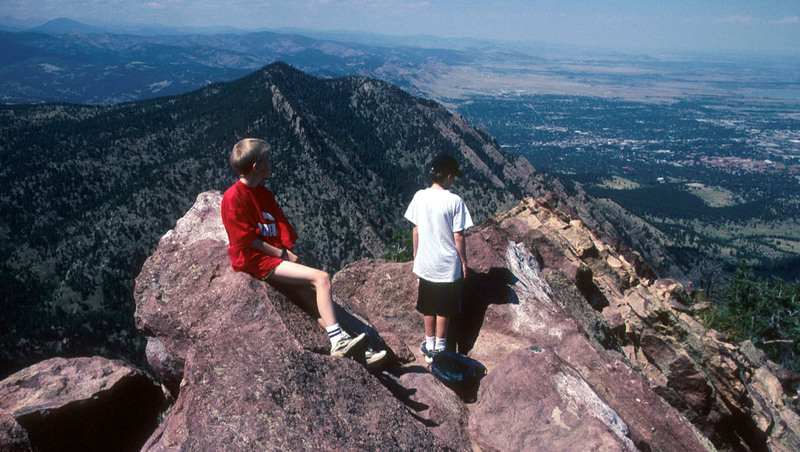 The summit of Bear Peak, Pål Jørgen and Sverre's son Einar, Green mountain behind and the city of Boulder below. My friend Sverre, the last few steps to the summit. The University of Colorado, in Boulder as seen from the summit of Bear Peak.